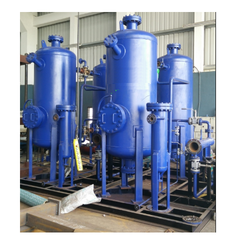 Owing to the dexterous professionals, we have been able to provide the customers with a commendable assortment of Pressure Vessel. 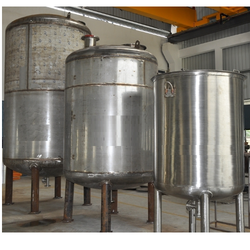 Under this affordable range, we offer Stainless Steel Reaction Vessel, Stainless Steel Vessels, Reaction Vessel and Steam Jacketed Vessel. These pressure vessels are manufactured utilizing quality-approved raw material and finds their application in power, engineering and automotive industries. In addition, our offered vessels are developed in adherence with the industry set guidelines. 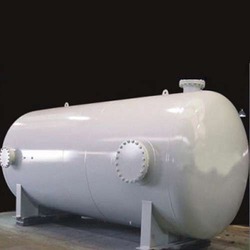 We have been able to cater to the various requirements of clients by providing a wide array of Pressure Vessel. Widely demanded by various industries, our offered vessels are developed in adherence with the industry set guidelines under the supervision of our professionals. With the thorough knowledge of the varied aspects of the market, we have been able to provide the customers with a commendable Stainless Steel Vessel. 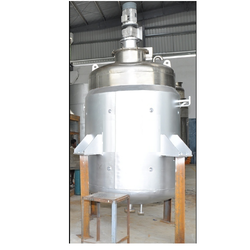 We have been able to cater to the various requirements of clients by providing a wide array of Pressure Vessel. Widely demanded by various industries, our offered vessels are developed in adherence with the industry set guidelines under the supervision of our professionals. Durable in nature, the vessels offered by us are manufactured using high-grade raw material like stainless steel and basic components that are procured from authentic vendors of the industry. 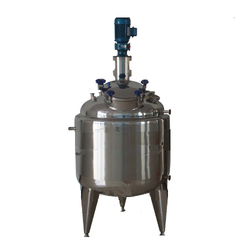 Since inception, we are engaged in catering to the variegated requirements of the customers by bringing forth exclusively designed Stainless Steel Reaction Vessel. Sophisticatedly designed, our offered reaction vessels are developed using quality-approved stainless steel and other basic components that are obtained from accredited vendors of the industry. Available in various specifications as per the requirements of our clients. 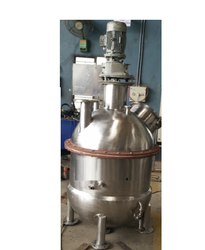 We are instrumental in catering to the variegated requirements of the customers by bringing forth uniquely designed Reaction Vessel. Quality-approved raw material and sophisticated technologies are employed in manufacturing these vessels, which are in compliance with the industry laid norms and guidelines. In addition to this, our quality controllers stringently inspect these vessels on various parameters to ensure durability. Abiding by ethical business policies, we are engaged in manufacturing and supplying a precision-engineered array of Steam Jacketed Vessel. Excellent in working, our offered jacketed vessels are manufactured using superior-grade raw material and basic components, which are obtained from licensed vendors of the industry. Prior to dispatch, our offered vessels are closely tested on various parameters to ensure flawlessness. Looking for Industrial Pressure Vessel ?